An aerial shot of the northeast corner of the Lobo Rainforest building. 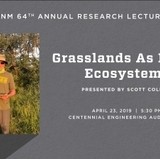 Building a rainforest in the desert sure sounds like a crazy idea, but officials at The University of New Mexico, and other stakeholders including the City of Albuquerque, Bernalillo county and other private partners, hope it rains economic opportunity much like a rainforest provides moisture. It’s called the Lobo Rainforest Building and the concept is two-fold in nature including an economic component and an academic component. The plan is for the two to go hand-in hand as components of economic growth. 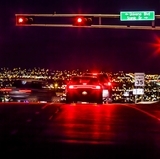 Innovate ABQ – is a concept designed to transform New Mexico’s economy, while the Innovate Academy represents its academic counterpart designed to transform higher education in a location where students can live, work and play to help drive that economic growth. It’s called innovative living at the Lobo Rainforest. 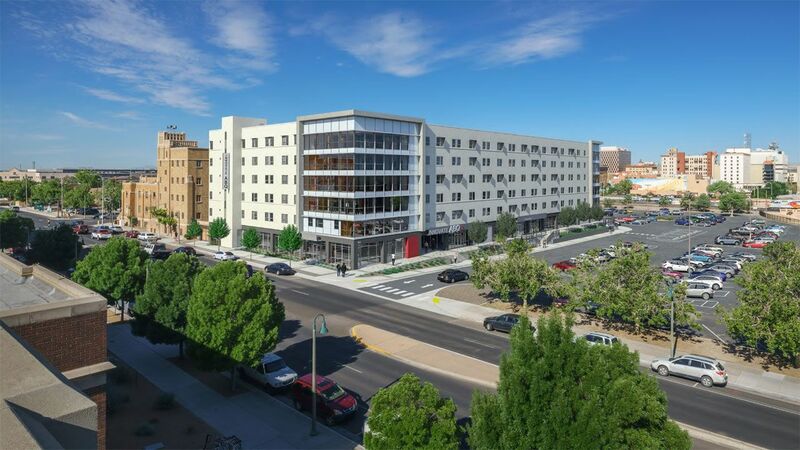 When finished, the $35 million, 160,000-square-foot facility being built at the site of the old First Baptist Church at Central and Broadway, will house both Innovate ABQ tenants as well as UNM’s Innovation Academy (IA) as well as other students who want to live off-campus in heart of downtown Albuquerque. The Innovation Academy is UNM’s new academic program, which is an innovation in learning theory itself. 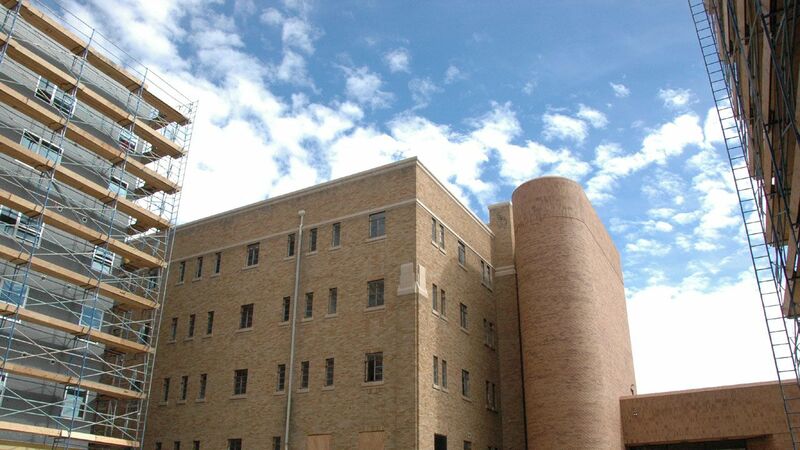 It’s a new mindset for everyone with a nontraditional curriculum designed to inspire the beginning of the problem-solving ‘idea pipeline.’ The student component, which includes UNM’s Innovation Academy along with construction of new student-housing at the site, is coming along nicely and will be ready for occupancy in August. On the other side of the coin, Innovate ABQ implements the applied outcomes of the ‘idea pipeline.’ The overarching goal of the two entities is to foster economic development by enabling tenants, including students and technology transfer programs operated by UNM to live, work and play alongside at the Lobo Rainforest Building in downtown Albuquerque. Other partners and stakeholders include the city of Albuquerque, the county and private partners – all working to create Innovate ABQ. 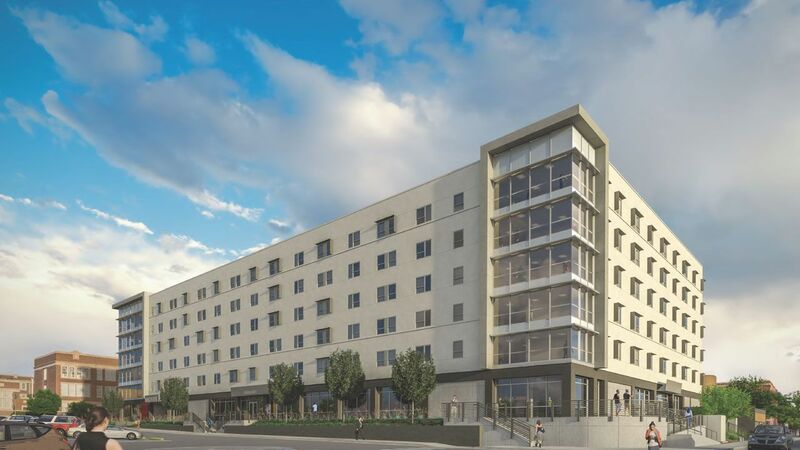 Applications are now being taken for the new student-housing open to Innovation Academy students, current UNM residents and upperclassmen. 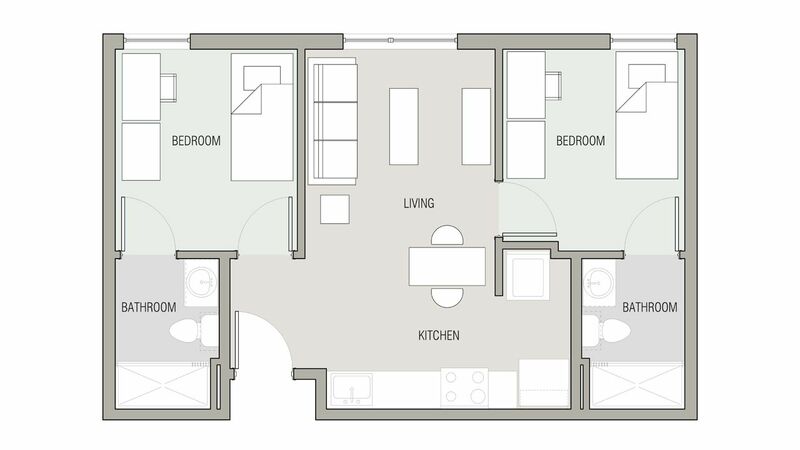 The beautiful, 2 bedroom/2 bath apartment-style units include a full kitchen, living space, washer and dryer, and some incredibly scenic views of the city. For more information and to apply, visit Lobo Rainforest. The Innovate ABQ component is coming together with an interesting mix of tenants including STC.UNM, the University’s technology transfer and economic development arm, will have its staff here and venture representative on site to help facilitate new companies forming based on University of New Mexico technologies. Also announced recently, the Air Force Research Lab (AFRL) will also be a resident at the Lobo Rainforest building, specifically its tech engagement office. 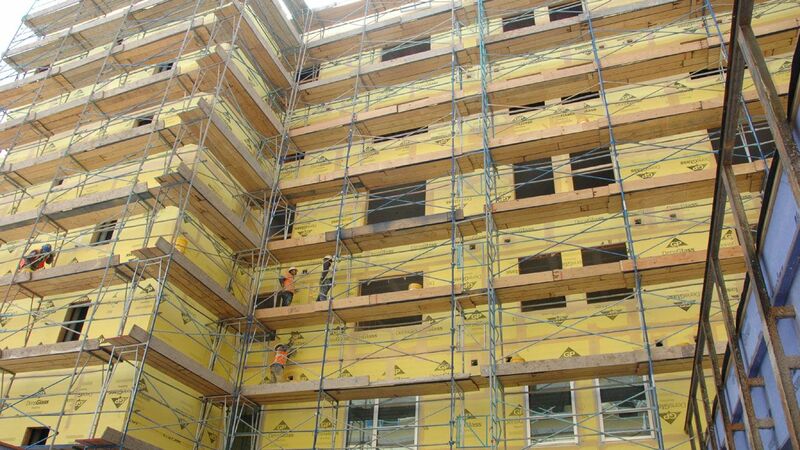 The Innovation Academy will take up residency on the first floor, while the student-housing will occupy floors two through six. DelCampo says the IA program itself is going strong with nearly 600 students on board as the spring semester comes to an end. 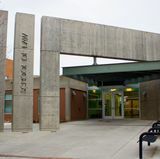 IA will have office and maker space so students can build new products and test out their ideas in an environment where they have plenty of support and mentoring. 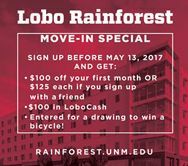 For those students who want to live in the six-story Lobo Rainforest building, UNM has been accepting applications and reservations for over a month. 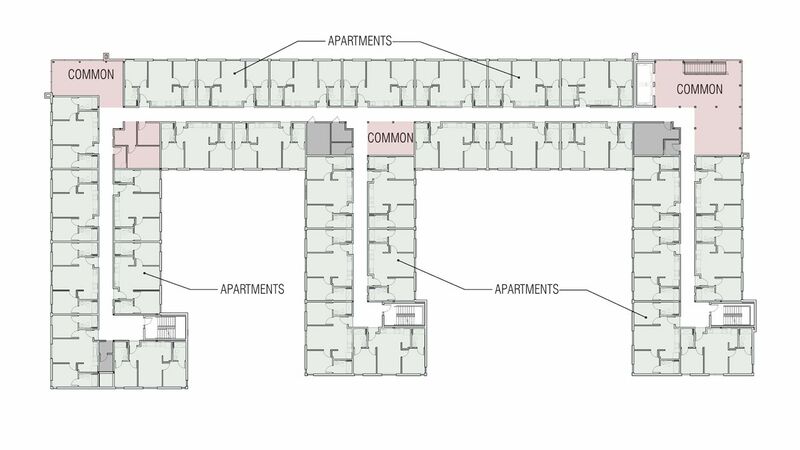 The two-bedroom apartments, 605 sq. 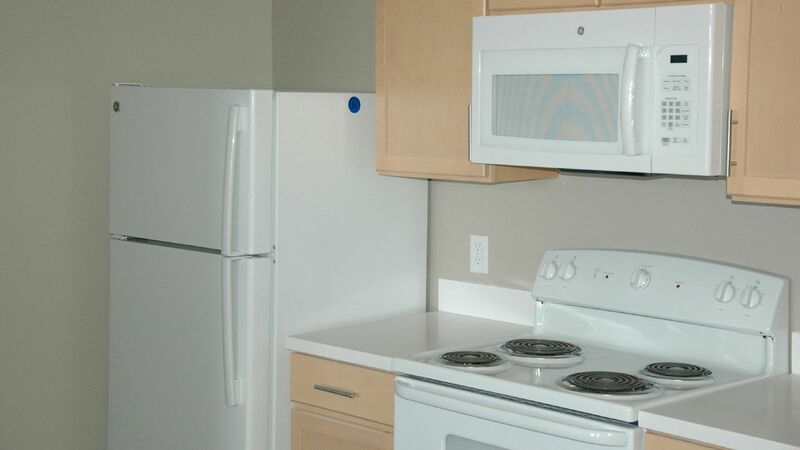 ft. each, include a full kitchen, living space, washer and dryer, and some incredibly scenic views of the city. 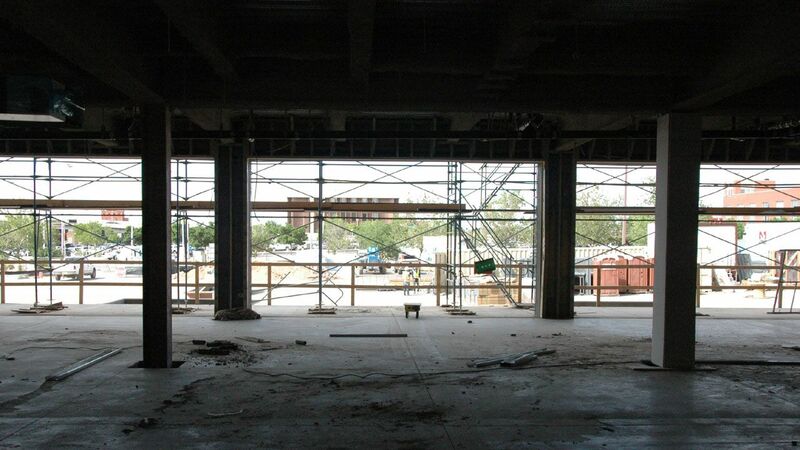 There’s enough space for about 310 students overall.